Hair in transition can be such a douzy to style. 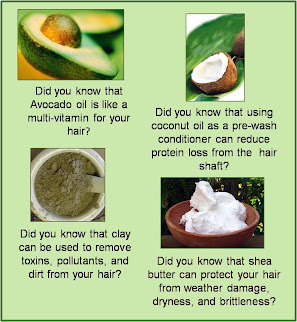 You're all set to go natural, and then BOOM! Those crinkly roots start coming in. 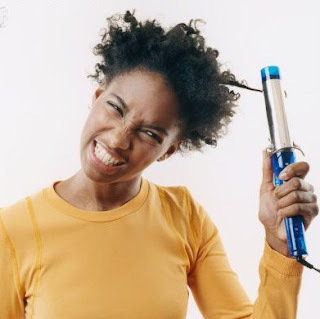 The contrast between your natural hair and your relaxed hair is way too obvious to ignore. A "Wash-and-Go" doesn't work, because your ends are too straight. The straight look doesn't work, because your roots can't get as straight as your relaxed ends. Slicking it back doesn't work, because it only serves to highlight your budding nappy halo. Doing the "big chop" isn't an option yet, because you're still trying to convince yourself that natural is the way you want to go. You feel like you're hitting obstacles at every corner, and you're starting to get discouraged. "What in the world? ", you shout to the heavens. "Do you WANT me to go back to a relaxer?" Well, if you get an audible answer, it's highly likely that it will be "No, Girl. Please!" There are several options for styling your hair during transition. I'll mention only a few in this post. In an earlier post, I wrote about my experience with half-wigs and drawstring ponies during transition. These hair pieces are less expensive than weaves and extensions, and can look a lot more real than full wigs generally do. They can also last longer, since you don't sleep in them. The key is to select a texture that matches your own, or that closely resembles your own. Once you get it home, you can manipulate it as necessary to acquire the finished look. Here are pictures of the pieces I currently use with the brand and style information attached. I show the picture that is on the product label first, and then my own picture. 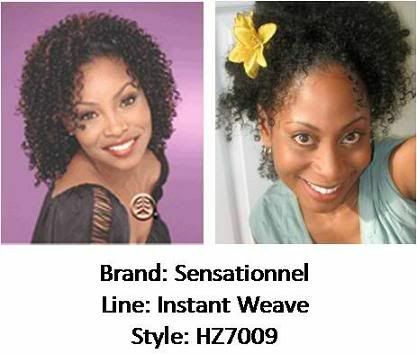 You can search for these pieces on the web, or at your local beauty supply store. While the curling iron look may not be cutting it, a twist-out, straw-set, or roller-set approach may be better suited for styling your transitioning hair. 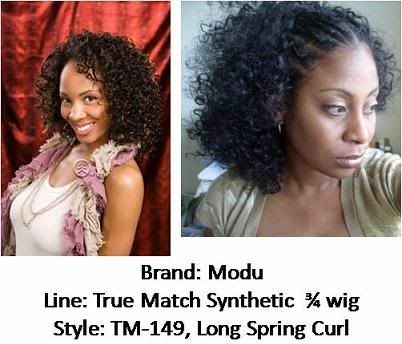 When the hair is in small curls, it's harder to see the texture differences between your relaxed and natural hair. These curls also may last longer, reducing the temptation to over-manipulate hair that really needs to take a tension-break during this time. 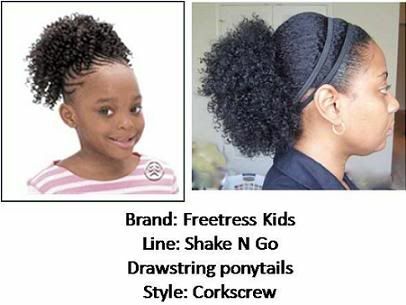 (I start off with dry hair, and then rub a generous amount of Miss Jessie's Curly Buttercream or Blended Beauty's Happy Nappy Styles through each section before twisting. When I've completed the twists, I pin curl each one, so that the ends won't be straight. I've tried doing it with wet hair, but my hair doesn't generally dry overnight if I sleep on it). When I went to the Natural Hair Show in Atlanta back in April, I was very pleased to come across a product called Hick's Edges (By Hick's Total Transformations). It's great for smoothing down edges, whether you're natural or not, or somewhere in between. Its consistency is similar to that of Let's Jam or Elasta QP Glaze, but it's nowhere near as wet or greasy as either one of those products. It also doesn't MELT in your hair, running down your forehead, like either one of those products. I did a trial run of Elasta QP Glaze on the left side of my head, and Hick's Edges on the right. They both looked the same at first, but after 5 minutes, the Glaze started to seep onto my scalp, and I had to use cottonballs to sop it up off of my hairline. Ew (reminded me of the dreaded "Let's Jam" days in college. Never again). The Hick's Edges is a little pricey, at $14.99 for a 4 oz container (vs. $4.99 for a 4oz container of Elasta QP Glaze). But it's worth it, in my estimation. You can get it on the company website, http://www.hickstotaltransformations.com/. Hope this helps my lovely transitioners in distress! Yes, this article did help ease my back & forth mind! Thank you so much for the information and pictures for it totally gave me a visual picture of what I can somewhat expect with my transitioning hair. I really needed to read this article and I've subscribed to the mycurlyknots.com's newsletter because of it! I will be a regular reader of this website! Thanks again for your help!